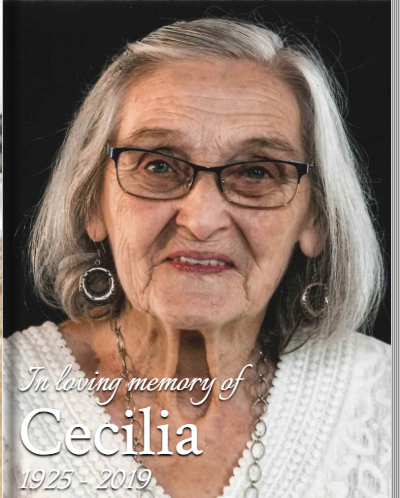 Cecilia Margaret Henderson (Buckley), 93, of Cambridge, MN, passed away peacefully on February 6, 2019. Preceded in death by loving husband Robert; infant children David and Roxanne; grandchildren Tonia and Dustin; great grandchild Rosalia; and siblings Henry, George, Leo, Marie, Tressa, Sara, Anna, and Robert. Cecilia is survived by six children: Carl Garvie, Susan (Todd) Thygeson, Patricia (Robert) Garvie-Carlson, Robert (Theresa) Garvie, Marie (Armando), Connie (Paul) Skeate. She has 10 grandchildren: Louise (Clint), Maggie (Jorge), Jeremiah, Kyle, Richard, Sarah (Tim), Emily (Luke), Veronica (Bryant), Tyler (Kayla), and Alex (Samantha); 18 great grandchildren: Kylie, Iszic, Casey, Seth, Jakob, Lacey, Ava, Brylee, William, Nadine, Ebin, Allie, Jade, Hailey, Cecilia, Raelynn, Ava, and Sawyer; and dear family friend, Patricia (Rick) (Amy) Civilla. She leaves behind many, many relatives and good friends. Funeral Monday, February 11, 2019 at 11:00 a.m.
Burial at Fort Snelling National Cemetery on Tuesday, February 12 at 10:05 a.m.